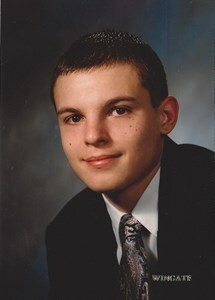 Newcomer Family Obituaries - Alexander Ian 'Alex' Aubin 1980 - 2019 - Newcomer Cremations, Funerals & Receptions. Alexander Ian "Alex" Aubin, 38, of Aurora, passed away January 27, 2019. He was born September 4, 1980 in Fall River, Massachusetts, the son of Richard and Joyce (Childree) Aubin. He was a graduate of Diman Regional Vocational High School in Fall River, Massachusetts in 1999. In high school, Alex would participate in Track & Field. Alex received numerous awards and recognition for his technical expertise with electrical power distribution and UPS systems in support of the Intelligence Community at Buckley Air Force Base. He had a collection of over 20 Challenge Coins. He began his career at Buckley in 2004. He cherished the time that he spent with his daughter, Amber. Alex also enjoyed hunting, fishing and camping. Alex is survived by Daughter, Amber Aubin; his parents, Richard and Joyce Aubin; two sisters, Nicole (Randy) Everett and Cassandra (Rod) Gourley; two nieces, Alyssa Mostacciuolo and Victoria Gourley; nephew, Hudson Everett; two grandmothers, Arlee Jenkins and Mary Aubin; Amber's mother, Camille Matranga; Amber's grandparents, Terry (Liz) Tibolla; many aunts, uncles, extended family members and friends and his cherished cat, Bootsy. To share a memory of Alex or leave a special condolence message for his family, please click the Share Memories button above. Add your memories to the guest book of Alexander Aubin. My deepest condolences to the Aubin family, Cassandra and Nicole I am so sorry for your loss. I wish the best for you and your family and Alex’s little one. I hope family and love will help you get through this terrible time. During the years that I had the pleasure to work with Alex, he was always a welcome visitor to my office. He always had a pleasant nature and a warm smile; always willing to help anyone. Alex’s parting has left a void, may we fill it with remembered joys. Sorry for your loss. We worked together for about 15 years and became good friends. You could never get him to shut up but he always made you laugh. He will be missed. I am shocked and sad about his early departure from this world. He was such a blessing to everyone he encountered. I will always remember his kind words and that smile that will brighten up any cloudy day! My prayers are with anyone that was blessed by Alex and had the honor to know him! He will be missed! Alex to me was always a kind soul. Always saying "Hello" with a smile on his face. Alex you will be missed dearly. RIP Prayers for Amber and his family. So sorry to hear about Alex, I just spoke with him a couple of months ago. He was a wonderful person and will be missed by friends and family. My heart felt thoughts and prayers are with you. Having worked with Alex he always had a smile and was willing to lend a hand no matter what the task. God Bless. Rich - My deepest condolences to you and your family. I am so very sorry about your loss. His genuine smile and kind heart were infectious. Anyone who remembers him will remember him with a smile that's a fact. Thoughts and prayers are with your daughter and family. God bless, so sorry for your loss. I remember Alex as a great kid and good Scout. His attitude and good Scout spirit was instrumental in our Scout Troop 100 Westport, being as good as it was. We are all saddened to lose such a fine Scout brother. RIP, good and loyal Scout, May the great master of all good Scouts be with you until we meet again. Alex was my classmate in Diman. I was shocked and saddened to learn of his passing. Though it’s been many years, I will remember him fondly. Sending my best to his family and friends. Alex was in our Boy Scout Troop 100, Westport MA for several years. He was a good scout, enjoyed camping, liked to eat, was enjoyable to be around and talk with. Had many laughs with him. Alex you will be missed! I’ll never forget when Derek Alex and Craig we’re together on the pond doing stupid stuff always and Derek ran over and said he just knocked Alex out by accident with a stick. They were the craziest kids growing up. I will miss you and treasure your funny memories forever. Alex, I will probably never know why, but I do want to say RIP my friend. When we would meet in the hallways at the site, we would always have some wisecrack to say to each other. I always laughed with you. But then we would have some serious conversations that I want to believe may have help you for awhile. All I know is you will be missed by many. You were too young my friend, but now you are with the Lord, and you will truly find peace there. Love ya pal, rest easy!